The Surajkund mela 2018 will see a spectacular showcase of regional and international crafts, handlooms, traditions. Surajkund International Crafts Mela celebrates the unique diversity of Indian traditions and culture. Surajkund mela, an annual confluence of India's culture and folk traditions is back in Faridabad, Haryana.The 17-day cultural extravaganza, is in its 32nd edition. The Surajkund mela will see a spectacular showcase of regional and international crafts, handlooms, traditions along with some mouth-watering multi-cuisine food for the visitors. The mela, that attracts more than a million Indian and international visitors, is organised by the Surajkund Mela Authority and Haryana Tourism in collaboration with union ministries of tourism, textiles, culture and external affairs. Representing the ethos of rural India, the Surajkund International Crafts Mela celebrates the unique diversity of Indian traditions and culture. It showcases some of the most exquisite handlooms and handicrafts of India. Handmade fabrics soaked in ethnic colours give a vibrant hue to the traditional mela. What is opening date and closing date of Surajkund Mela 2018? The Surajkund Mela 2018 will begin on February 2 and will continue till February 18, 2018. What is the theme for Surajkund Mela 2018? For the 32nd Surajkund International Crafts Mela-2018, the state of Uttar Pradesh has been chosen to be the Theme State. At least 20 countries and all the Indian states will be participating in the Mela. 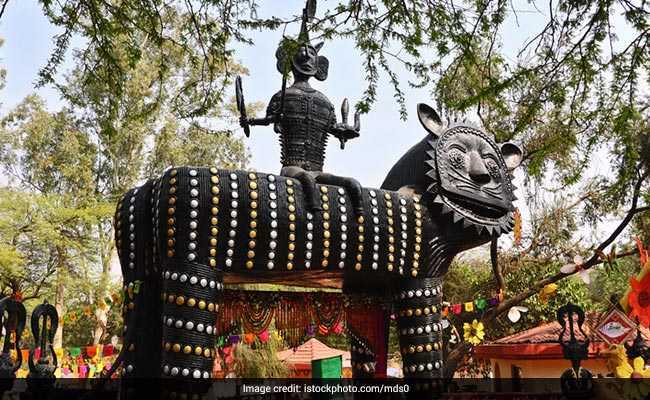 What are timings of Surajkund Mela 2018? The Surajkund Mela 2018 is open to visitors from open to visitors from 10:30 am to 8:30 pm. What is ticket price for Surajkund Mela 2018? The ticket price on weekdays is Rs 120 per person and for weekends it's Rs 180 per person. The tickets can be booked on the spot on online here. What are the attractions of Surajkund Mela 2018? Apart from the handicrafts and handlooms on display, cultural performances in open-air Chaupal where renowned singers, musicians and poets will perform daily, can be seen at the Surajkund Mela.